In this module, you’ve learned about the kind of higher-level thinking you are expected to engage with while studying at university, and how you can further develop your critical thinking skills. As you start your studies you’ll probably discover that you’re expected to become a more independent and analytical thinker. This means that, apart from learning facts and key concepts, you’ll need to demonstrate higher-level thinking skills such as critical analysis and synthesis. Making use of these and other thinking skills will allow you to join and contribute to the academic debates taking place in your field. Through your lectures, tutorials and assignments, you’ll be gradually encouraged to unpack, test and challenge ideas, concepts and theories in your subject. In other words, you’ll be applying your critical thinking skills in all aspects of your university work. Good critical thinking will enable you, for example, to evaluate different sources of information, assess people’s reasoning and come to informed conclusions. It will help you guard against taking knowledge and information at face value. To be successful in your studies, you may therefore need to learn how to develop a critical mind. Now, how confident do you feel about your own critical thinking ability? Complete the self-assessment exercise on the following page before you move on to learning about effective reading in Module 3. 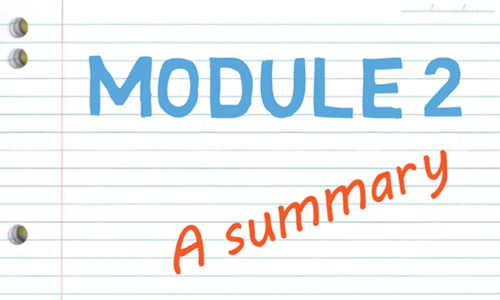 Note: Download the PDF file below so you can review Module 2 later.